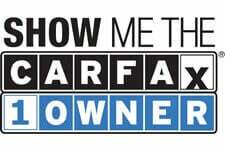 CARFAX 1-Owner Wrangler JK and CARFAX Buyback Guarantee qualified! At just 11258 miles, this 2018 Jeep provides great value. This Jeep Wrangler JK also includes Clock, Tachometer, Cruise Control, Privacy Glass/Tinted Windows, Tilt Steering Wheel, Power Steering, Power Windows, Steering Radio Controls, Power Locks, Power Mirrors, Lthr. Steering Wheel, Driver Airbag, ABS Brakes, Fog Lights, Passenger Airbag, Traction Control, Intermittent Wipers, Keyless Entry, Security System, AM/FM, CD Player, Touch Screen, Satellite Radio, Running Boards, Center Arm Rest, Cup Holders, Vanity Mirrors, Center Console, Heated Mirrors, Roll Stability Control, Tire Pressure Monitor, 115V Power Outlet, 12v Power Outlet, Carpeted Floor Mats, Aux. Audio Input, Premium Alloy Wheels, USB Port, Voice Control. Contact us today at 617-527-9559 for more information, or fill out our Online Credit Application to begin the pre-approval process today. Contact OTG Used Cars today for more information on this vehicle. Monday: 6 a.m. - 5:30 pm. Tuesday: 6 a.m. - 5:30 pm. Wednesday: 6 a.m. - 5:30 pm. Thursday: 6 a.m. - 5:30 pm. Friday: 6 a.m. - 5:30 pm.